This year’s festival will be held August 13-22, 2018, in various venues throughout Gatlinburg. For full details check the event website and Facebook page. Throughout the festival, there are numerous free concerts at various downtown venues as well as songwriting workshops, auditions, mentoring programs, song competitions, several ticketed shows, and more. While it’s musical performers who generally get all the fame, it’s the songwriters who compose the music and write the lyrics for your favorite country music and blue grass songs. In this way, The Smoky Mountain Songwriters Festival is unique among music festivals in the area. Certainly, many of the participants are outstanding musicians in their own right, but at the heart of the festival is songwriting. We’re talking about that often-elusive creative process of writing notes and lyrics to make you laugh, cry, swoon, and reminisce (sometimes, all at once). For this reason, in addition to musical performances, you’ll find a myriad of educational and workshop events and activities at the festival – all designed to explore the art of songwriting. To learn more about the festival in general and to see this year’s line-up, head here to the official website. In 2011, Cyndy Montgomery Reeves, founder and director of The Smoky Mountains Songwriters Festival, happened upon the Key West Songwriter’s Festival in Florida. Shocked that Key West had a festival celebrating songwriters, but not Gatlinburg, home to so many songwriters, musicians, singers, and pickers, Cyndy went right to work remedying the situation. When she returned to Gatlinburg, she met immediately with the city’s Special Events Director, George Hawkins, to suggest the idea of such a festival in Gatlinburg. To her delight, George agreed to take on the project. The first SMSWF took place the following year in 2012, and it’s been a hit every year since! There are thousands of music festivals throughout the nation that celebrate music in all its forms. But there are only a few festivals that celebrate the core of any and every song you’ve ever listened to — the songwriters! 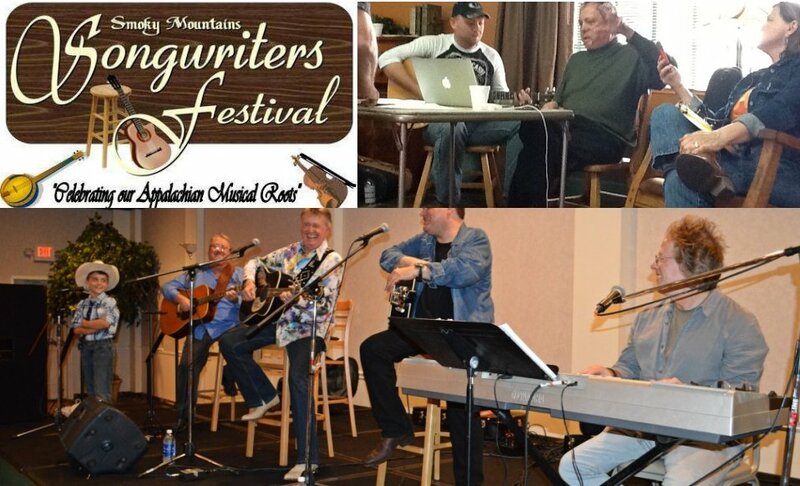 Moreover, remember that there’s only one festival that celebrates songwriters in the Smoky Mountains the place where bluegrass, old time music, and country music were born. Be sure to check our Festivals and our Things to Do in Gatlinburg pages for more activities throughout the year.